Crescent recognizes the importance of promoting healthy communities in which to live and work. The heart of Crescent’s commitment to the community is FACES of Change® a unique adopt-a-school program it founded in 1997. Through this program, properties are partnered with local elementary schools that serve at-risk students and families. FACES of Change partnerships bring the company’s employees, customers and business partners together to provide volunteer time, financial and in-kind gifts to partner schools. 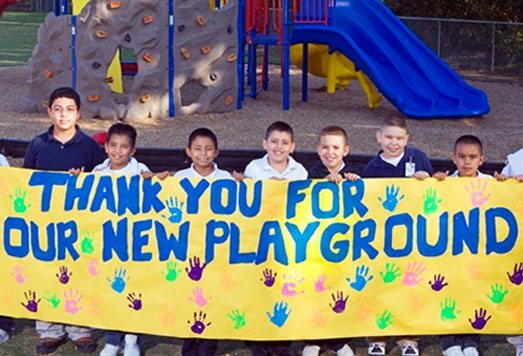 Since its inception, FACES of Change partnerships have generated more than $2.3 million in funding, services and supplies for 80 elementary schools partnered with Crescent properties nationwide. Crescent sponsors the Academic Chairs for Teaching Excellence which recognizes outstanding classroom teachers in the Fort Worth Independent School District. Each year, Chairs from designated subject areas are named by a selection committee and awarded a $5,000 honorarium to pursue further education and training as well as share knowledge and expertise with colleagues. Since beginning its participation in 2005, Crescent has contributed $65,000 to Teaching Excellence. The B Sharp Youth Music Program is a free music education program based at Como Elementary showcasing the Fort Worth Independent School District’s only elementary orchestra. It is the only El Sistema-inspired music program in North Texas meaning that it fosters positive youth development through ensemble based music instruction. The Goff Family Foundation started B Sharp in August 2010 at Como Elementary creating a unique partnership with FWISD. 2019 Crescent Real Estate LLC.